At Divan Beds Centre we have a superb selection of classic 3ft single divan beds with a variety of luxuriously comfortable mattress options. 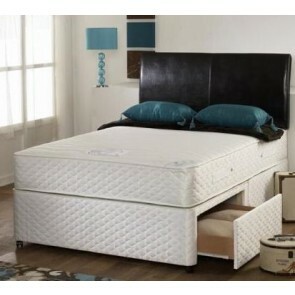 Our modern 3ft single divan beds allow you to customise your bedroom style. The standard size single divan bed is ideal for a child’s bedroom and is also perfect for the guest room. 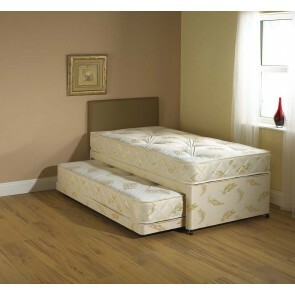 Choose from deluxe 3ft single divan bed bases upholstered in luxury neutral tone fabrics and finishes, and Ottoman storage divan bed bases that offer valuable space for storing bedding, clothing and other items. 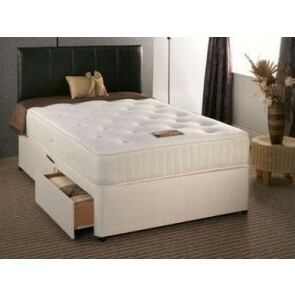 Our premium range of single divan beds features solid timber bases with platform or sprung edge tops. Easy glide castors and headboard attachments are also included. 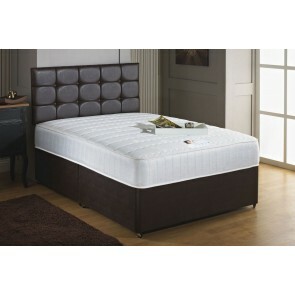 For optimal sleep comfort, select your perfect 3ft single divan bed by mattress type. 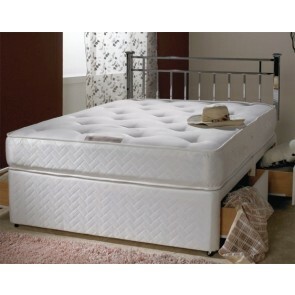 Browse our collection of coil sprung, pocket sprung, memory foam, and pocket sprung and memory foam mattress 3ft single divan beds to find your ultimate comfort zone. To create a luxurious sleep environment, choose a single divan bed that is upholstered in soft velvet, faux suede or faux leather. Our space-saving Ottoman single beds are a great option for children’s bedrooms. The bed boasts hydraulic gas struts that lift the entire base up to reveal ample space for tidying away toys, bedding and clutter. If you’re lucky to not require additional storage space, choose a platform top divan base with non padded or padded top and sides. Two stylish 3ft single divan beds arranged side by side provide a traditional sleeping arrangement for bedrooms that are shared. 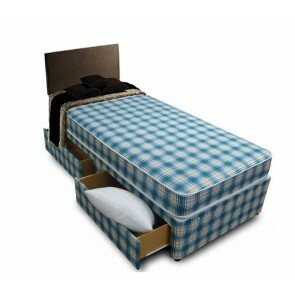 Our versatile RH side and LH side storage options ensure that both beds offer adequate solutions for storing additional bedding, linens and clothing. In the spacious guest bedroom, our great quality 3ft single divan beds can easily be moved and positioned to maximise available floor space.